Whilst I’m aware that many of my #REDBED titled articles are clear, this one isn’t quite so obvious. Today represents a number of transitions, each of which bridge gaps in life. That probably hasn’t clarified anything! As you’ve probably gathered, my work is busiest when many people are on holiday. It’s the nature of the beast that when a glut of Bank Holidays turn up like red buses, I’m somewhat occupied. Today is the ‘bridge’ day between the holiday cover relating to Christmas and that in respect of the New Year. Whilst some people are away for the lot, most are doing one or other at home. The New Year weekend jobs essentially started today. But it’s not this aspect that made me think about bridges in life. You’ll be glad to know that came from the running aspect. 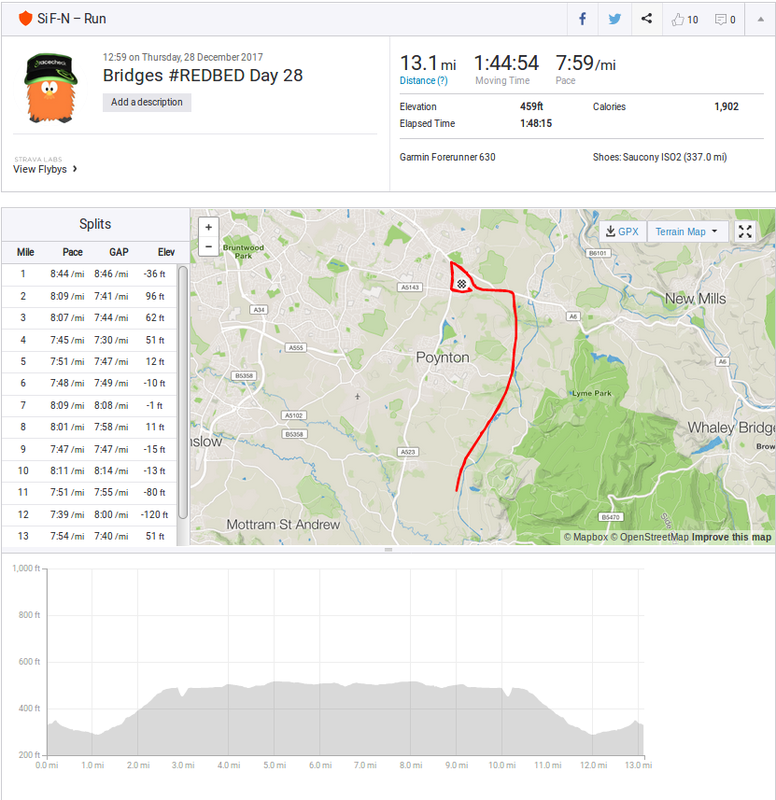 I have made mention that at some point during this #REDBED Challenge, the streak of running would equal my longest gap in running. 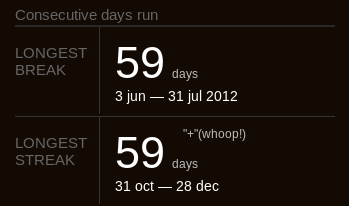 That point is today, Day 59 of the run streak. This is important in my life as a bridge. The gap related to the period around the time of my late-husband’s passing. I’d actually just got over the injuries from the Greater Manchester Marathon and did a run on June 3rd 2012. Mark passed away on the 11th June and, what with everything going on, I didn’t run again until 31st July. By equaling and surpassing that large gap relating to a horrendous event, I feel that in some way, I’ve been able to build a bridge over it. It’ll never be forgotten. But at the same time it represents being able to travel (in life) beyond it. When I was assembling the blog for yesterday I realised that I wasn’t a crazy distance of reaching 200 miles run this month. I passed my record-month total of 160 miles last weekend but having done two long runs back to back, I’m just over 9 miles from that huge figure. So with 3 runs to go, I’m hoping I’ll chalk up that record too. Be the first to comment on "Life Bridges #REDBED Day 28"